Mr. Solomon is the owner of All Auto Insurance Agency, Inc. dba Assurnet Insurance Agency, an independent insurance agency located in Richardson. Solomon has served on the board of directors of the Professional Insurance Agents of Texas and the board of directors of the Texas Association of Business, and is a current member of the Texas Insurance Professional Services board of directors. He also serves as one of the two insurance agents on the 11 member Texas FAIR Plan Governing Committee. 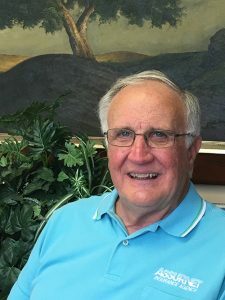 He is a member of the Dallas-Park Cities Philatelic Society, the Richardson Central Kiwanis Club and the Yale Park Homeowners Association. He is active in the Richardson Chamber of Commerce and the First United Methodist Church of Richardson. Mark Solomon was also re-elected in May 2015 to represent City of Richardson Place 2 seat, and serves as the Mayor Pro Tem of the City Council of Richardson. 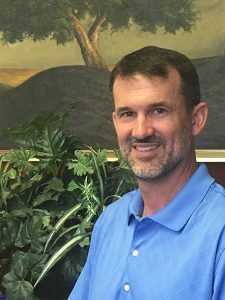 Mark received his bachelor’s degree from Southeastern Louisiana University and his master’s degree in education from the University of Southern Mississippi. He and his wife, Lynn, have two children and six grandchildren. 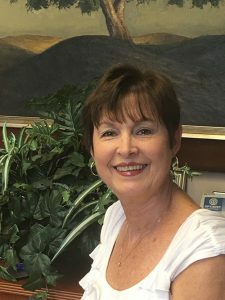 Mrs. Solomon is the Vice President of All Auto Insurance Agency, Inc. dba Assurnet Insurance Agency, an independent insurance agency located in Richardson. Lynn is a current member of the Altrusa International of Richardson and Chairman of the Seniors initiative for Altrusa. Lynn, just retired from being employed by Region 10 Service Center in Richardson for 22 years. She is an active member of the First United Methodist Church of Richardson. She and her husband, Mark, have two children and six grandchildren. Mark Jr. is the Agency Manager of Assurnet Insurance Agency, an independent insurance agency located in Richardson. Mark received his bachelor’s degree in finance from Texas A&M University. He and his wife, April, have three children and reside in Frisco, Texas. Mark, is active an active member of Hope Fellowship and serves as an 8th grade boy leader and is active with his children’s activities. One activity is the family’s business which is called “5 Star Curb Painting“. Sra. Najera es un representante de servicio al cliente para la agencia de seguros Assurnet, una agencia de seguros independiente situado en Richardson. Maribel ha trabajado para Assurnet durante 10 años. Habla con fluidez el español y ha sido capaz de desarrollar una relación profesional con nuestros clientes. Maribel recibió un grado de contabilidad en la Universidad de Tamaulipas. Ella le encanta pasar tiempo con su hija en Dallas, Texas. Mrs. Najera is a customer service representative for Assurnet Insurance Agency, an independent insurance agency located in Richardson. Maribel has worked for Assurnet for 10 years. She is fluent in Spanish and has been able to develop a professional relationship with our clients. 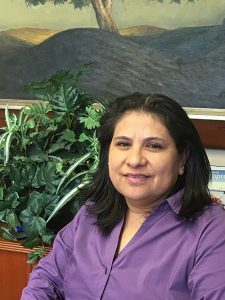 Maribel received an accounting degree from Tamaulipas University. She loves to spend time with her daughter in Dallas, Texas. 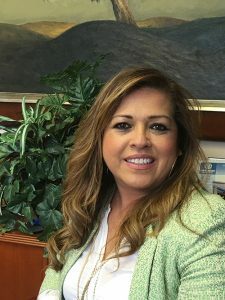 La señora Chacón es un representante de servicio al cliente y recepcionista para Agencia de la Seguridad Assurnet, una agencia de seguros independiente situado en Richardson. María ha trabajado para Assurnet durante 10 años. Ella da la bienvenida a todos a la agencia con una gran sonrisa y grande holla. Ella y su marido, Martin, tiene dos hijos y residen en Dallas, Texas. Mrs. Chacon is a customer service representative and receptionist for Assurnet Insurance Agency, an independent insurance agency located in Richardson. Maria has worked for Assurnet for 10 years. She welcomes everyone to the agency with a big holla and big smile. She and her husband, Martin, have two children and reside in Dallas, Texas. Mr. Enderica is a commercial account executive for Assurnet Insurance Agency, an independent insurance agency located in Richardson. Jorge comes to our agency with an excellent knowledge of the life and health insurance industry. He has more than 20 years of experience in both a corporate and field capacity. He is fluent in Spanish and will specialize in developing commercial and life insurance solutions for small business clients. He has an accounting degree from Florida State University and has earned prestigious professional designations. Jorge and his wife Alexandra have two children. He is a member of International Concierge Committee at the Richardson Chamber of Commerce and serves in several ministries at St. Rita Catholic Church in Dallas.